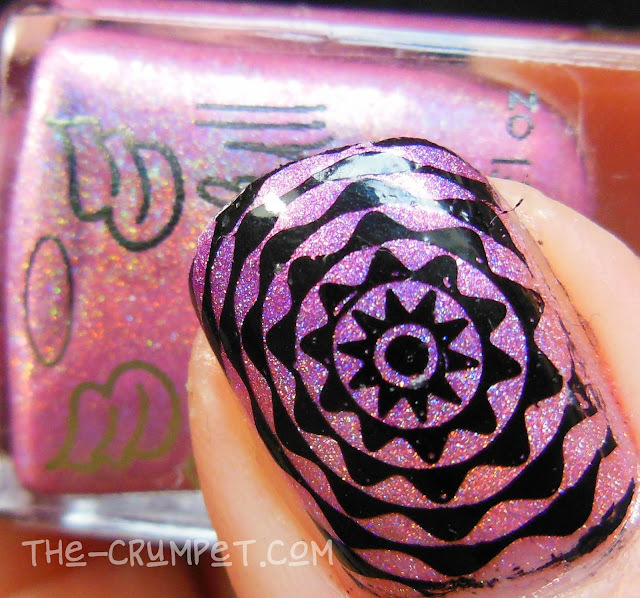 Today's post is a mani I LOVE for so many reasons. There's actually a gradient in here, but it's so subtle, it's only obvious in certain photos, and that's because these 2 polishes are just MADE for each other. 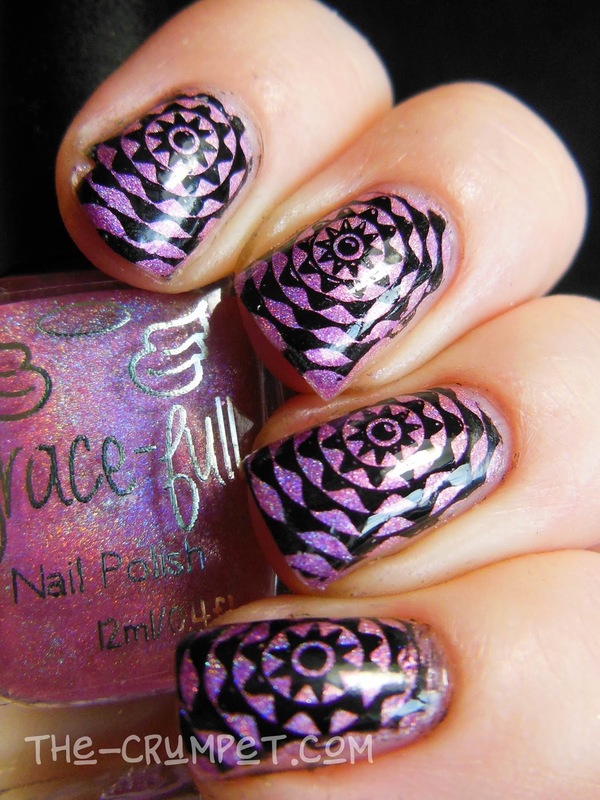 The gradient features 2 gorgeous polishes from Grace-full Nail Polish's Happily Ever After collection (which was sent to me for review) - Violetta The Dragon and Princess Rose. 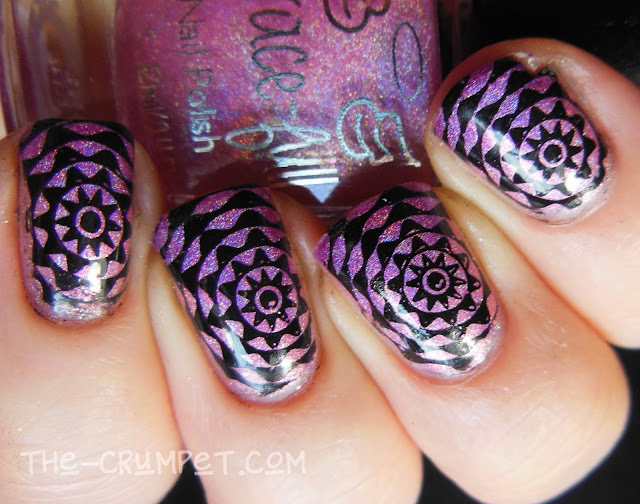 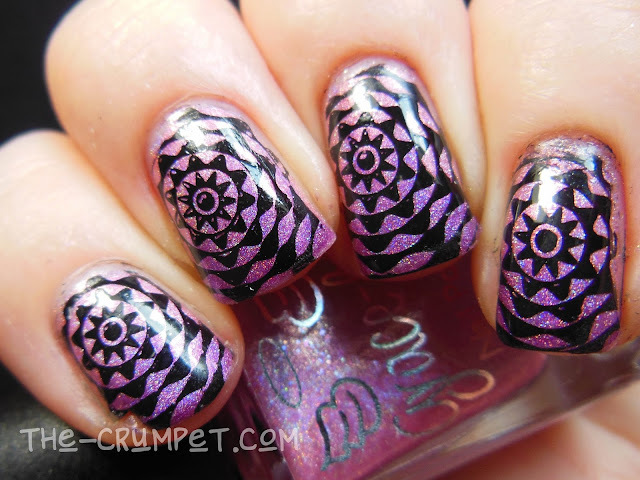 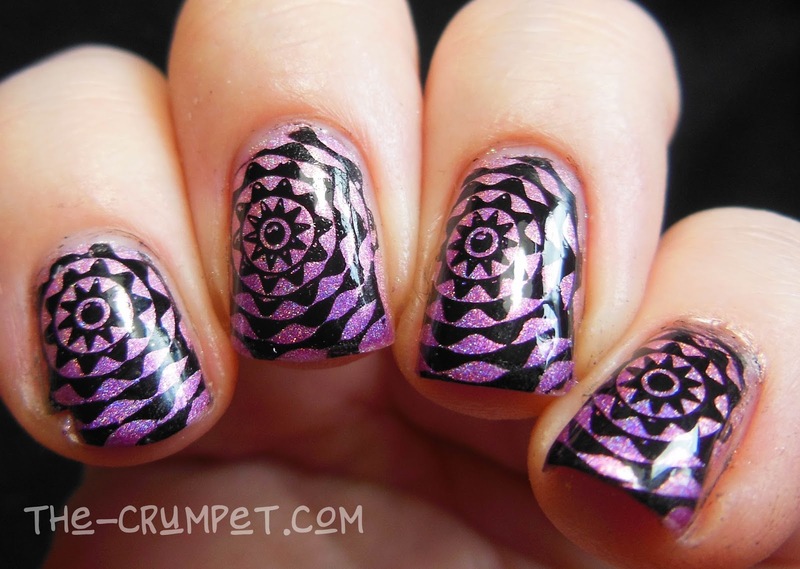 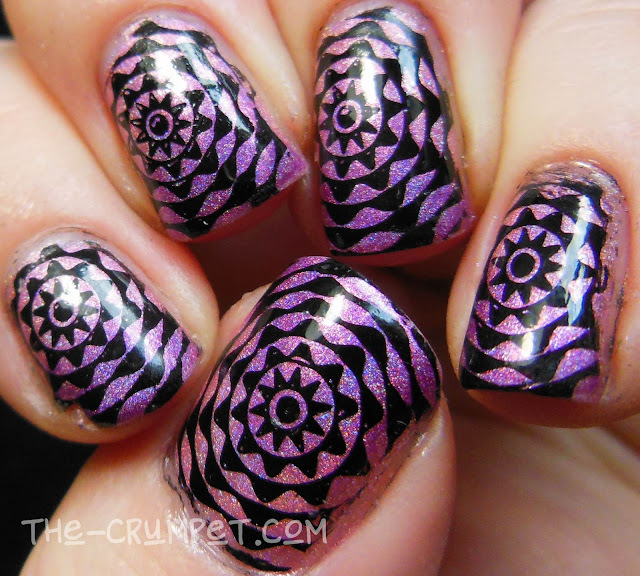 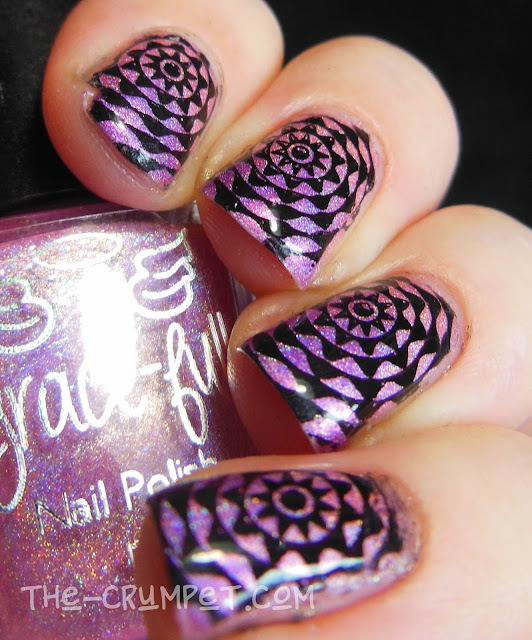 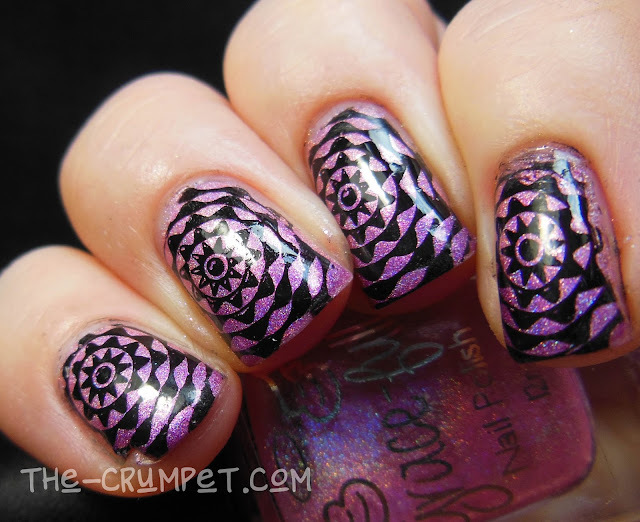 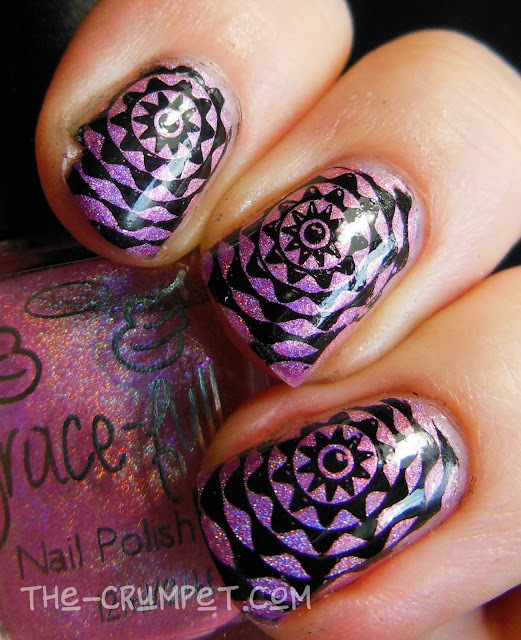 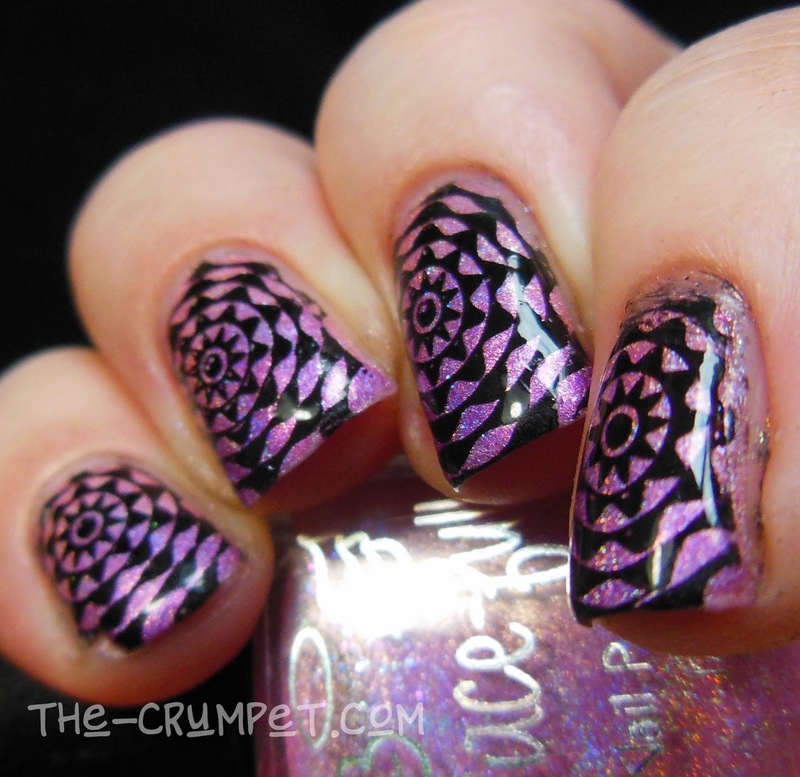 The stamp is another goodie from MoYou's Illusion plates, one of my favourite ranges that they've ever done. 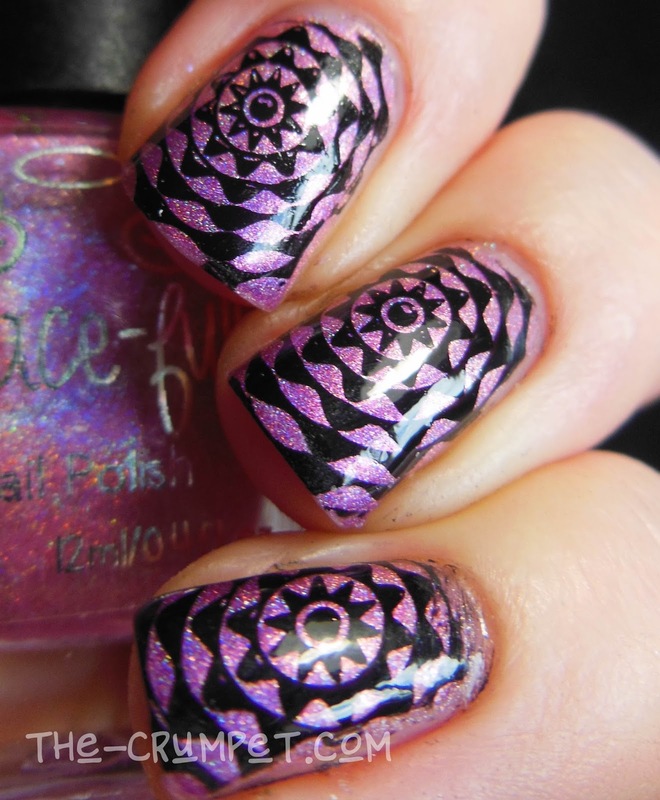 This one is from Illusion 04. Thank god I didn't do a slide show to make us all dizzy!